To play a key role in strengthening the brand's online presence and be a major player in the e-commerce space. Managing end to end operations for various e-commerce partners and Kaya's own website. The incumbent will be responsible for managing relationships with various teams of e-commerce portals & the market place sellers to ensure flawless and timely execution of various operational activities. - Monitoring Service Standards & Resolving issues by coordinating with service quality team. - Catalogue Management on e-commerce platforms & brand website. 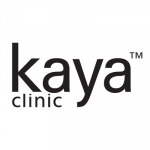 - Liaison with internal teams for creating content pertaining to Kaya products. - Complete control on e-commerce Supply Chain. - Planning & managing the logistics / reverse logistics by working closely with the supply chain management team. - The role requires the candidate to coordinate with the leading e-commerce portals (Amazon, Flipkart, etc.) on a day to day basis for delivery planning, reconciliations, catalogue management and related services. - Analyse the e-commerce trend and prepare a plan for maximum market penetration. - Co-ordinate with internal stake holders such as Supply Chain, Finance, Service Quality Teams. - Payment reconciliation with various e-commerce partners.